Modern, tastefully decorated and furnished, 5-year-old house down a quiet lane off Anderson Road. Lovely views of the mountains. Three bedroom, 2 bathroom (one ensuite) with sunny open plan living, dining and kitchen with dishwasher. There is a heatpump/air con in the living room and the property is fully double glazed and insulated. Sadly we have had to make the cleaning charge mandatory as we have recently had some guests leave the house without touching the cleaning products or vacuum cleaner leaving me to pay a cleaner to make the house acceptable for the next guests. There is an compulsory $65 cleaning charge and an optional $65 charge for linen. We can also (for a fee) arrange for basic groceries to be in the house for your arrival. There is a portacot available to use. You can connect to a local wifi hotspot to access internet. Only a 15-20 minute walk to the town centre and lake, minutes to many bike and walking/running trails. There is a large secure lock up shed available for guests to use for bikes, a canoe etc. We welcome pets with prior approval. Three good sized bedrooms, master with ensuite. Lovely warm, modern, clean, well-equipped home a pleasant 15 minute walk to Wanaka town. 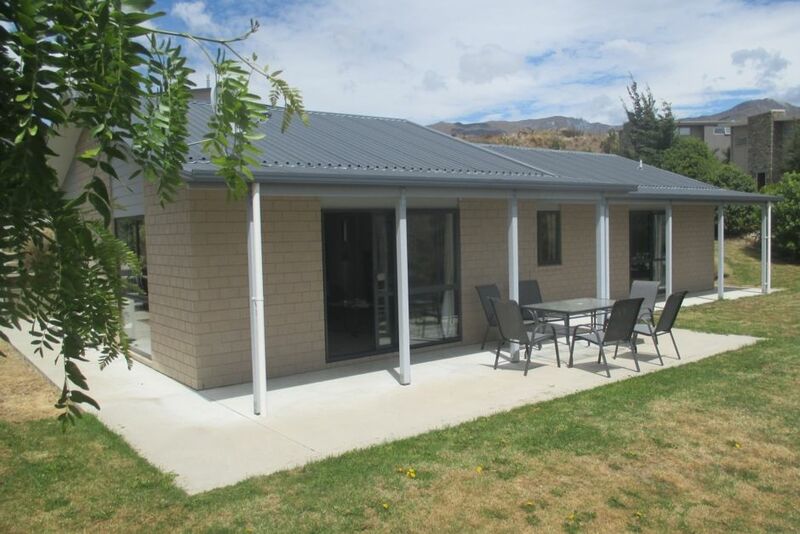 Lovely warm, modern, clean, well-equipped home a pleasant 15 minute walk to Wanaka town. Perfect base for our family holiday and we hope to return one day! An ideal property for a family get together and close to facilities. An ideal property for a family get together and close to facilities. Everything we wanted. Great location. Lovely tidy accommodation. Would stay again. We had a very comfortable stay at the property. We had a very comfortable stay at the property. It was exactly as described and shown on in the photos. The outdoor table was a great bonus.